FlightSafety offers comprehensive, type-specific training to pilots and maintenance professionals of business aircraft manufactured by Beechcraft (Textron Aviation), including the King Air 90, 100 and 200 Series. Our highly qualified and experienced instructors, advanced-technology flight simulators and integrated training systems help ensure proficiency and safety. Training for the King Air is available at FlightSafety Learning Centers in Atlanta, Georgia; LaGuardia Airport, New York; London Farnborough, United Kingdom; Long Beach, California; and Wichita, Kansas. We also offer a full range of maintenance training at our Wichita Maintenance Learning Center. FlightSafety enjoys a strong relationship with Beechcraft that is built around FlightSafety’s training programs for the full line of King Air aircraft. FlightSafety offers training on a wide array of Beechcraft business aircraft at Learning Centers in Learning Centers in Atlanta, Georgia; LaGuardia Airport, New York; London Farnborough, United Kingdom; Long Beach, California; and Wichita, Kansas. The Wichita East Learning Center offers King Air 250 Pro Line 21 training with King Air 250 Pro Line Fusion Differences Familiarization and King Air C90GTi/GTX Pro Line 21 training with King Air 90 Fusion Differences Familiarization. 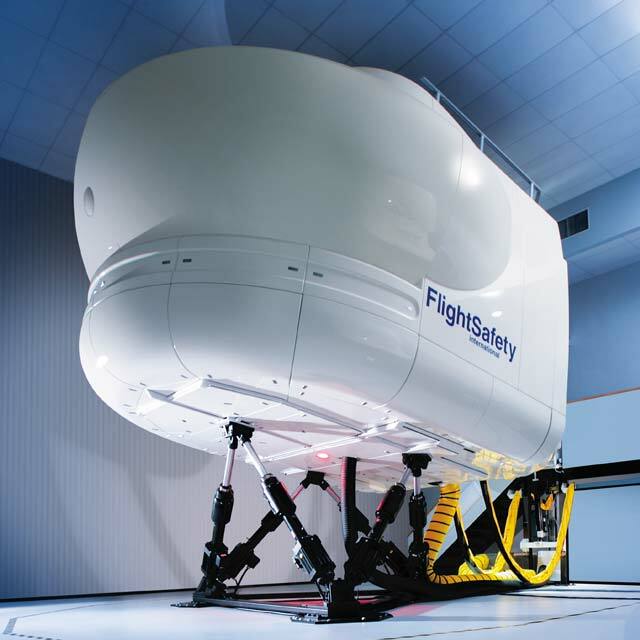 * These courses, developed in conjunction with Rockwell Collins, use FlightSafety’s MATRIX integrated training system, bringing the realities of the Level D simulator experience into the classroom and to other training devices. We now offer Operational Day Flow training for the King Air 350 in Atlanta and Wichita, and for the C90GTi in Wichita, with more programs coming soon. ODF training presents daily flight profile scenarios as part of an enhanced multimedia training environment. Training courseware and training devices for the King Air 90 and 200 Series were developed in conjunction with Beechcraft (Textron Aviation). Our King Air training program includes 13 full flight simulators located among five Learning Centers in the United States and Europe. The world’s first King Air 350/200 interchangeable full flight simulator equipped with Garmin’s G1000 avionics is now located at the Wichita East Learning Center. Advance your career while enhancing safety and improving dispatch reliability with FlightSafety’s exclusive Master Technician training for the King Air 90 and 200 Series. Master Technicians are recognized throughout the industry as having achieved the pinnacle of training for their aircraft. The Wichita Maintenance Learning Center offers cutting-edge technology for King Air technicians and features maintenance classrooms, an engine shop and hangar. Our unique practical training courses give technicians the benefit of our 30+ years of working knowledge of King Air products. These classroom and hands-on practical courses compliment standard maintenance course offerings. *If an aircraft is available for instruction, the Differences Familiarization Courses can be conducted in the cockpit of your own aircraft.